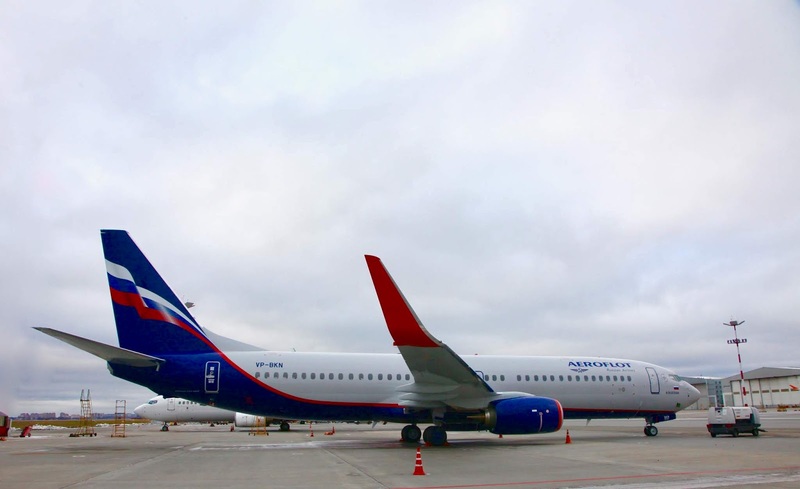 The Russian airline, Aeroflot has announced it is increasing flights to Phuket and Dubai soon as well as launching a brand new route to Nalchik, the capital of the Kabardino-Balkaria region in southern Russia from its Moscow base. The carrier will launch new the route to Nalchik on 28 October 2018 and will fly an Airbus 1320 on a daily rotation to the city that's known as the pearl of the North Caucasus. The flight SU1064 will depart Moscow's Sheremetyevo Airport at 14:00 and will arrive at Nalchik at 16:30, while the return flight, SU1065 departs Nalchik at 17:30 to land back at Sheremetyevo at 20:00. Nalchik is surrounded on three sides by mountains and is located practically at the foot of Mount Elbrus, the highest peak in Russia. In the winter time, Elbrus becomes a magnet for skiers and snowboarders from all countries. The Elbrus enjoys special popularity amongst climbers. Resorts in the North Caucasus are a fast-growing tourist centre in Russia, combining unique natural features with the renowned hospitality of the Caucasus. The popular airline is also increasing its flight frequency schedule to Phuket, one of Thailand’s main tourist destinations. The additional flights will operate during the winter period with effect from 28th October. The flight departs Moscow Sheremetyevo at 06:15, to land in Phuket at 19:15 while the return departs at 21:00 and arrives back at Sheremetyevo at 03:10. The extra flights operate on Wednesdays, Fridays and Sundays and Aeroflot have scheduled a Boeing 777 to these flights. Aeroflot is Russia’s flagship carrier serving more than 146 destinations in 52 countries with a fleet that boasts some 243 aircraft and carries 32.8 million passengers a year, which if you include al its subsidiary airlines rises to 50.1 million passengers a year. The Moscow - Dubai route will also see increases to its schedule, from 29 October, the Russian flag carrier will introduce new flights from Moscow’s Sheremetyevo airport to Dubai’s Al Maktoum Airport (DWC). The additional flights will operate daily departing at 01:10 and arrives in Dubai (Al Maktoum) at 07:30 under the flight number of SU522. The Return flight, SU523 departs Dubai (Al Maktoum) at 09:00 and arrives at Sheremetyevo at 13:40. Aeroflot says the new flights will be operated using a Boeing 737 aircraft and the new flight complements the three scheduled flights a day Aeroflot operates to Dubai International Airport (DXB). Aeroflot's subsidiary low-cost carrier Pobeda has also released plans to launch a new service from Moscow Vnukovo Airport to Helsinki in Finland. The airline will be flying the route with a Boeing 737-800 aircraft on a daily basis. The current schedule for the new flight will see it depart Vnukovo at 0840 landing in Helsinki at 1040, while the return flights will leave at 1120 to land back in Moscow at 1315.